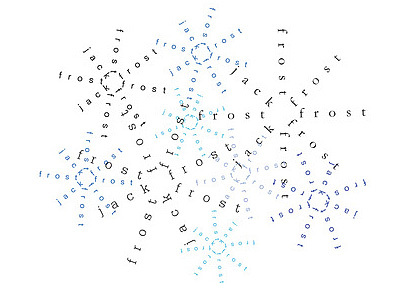 "Jack Frost" by Lisa Park on Bēhance. "Play This" by Geof Huth from Notation Notes. 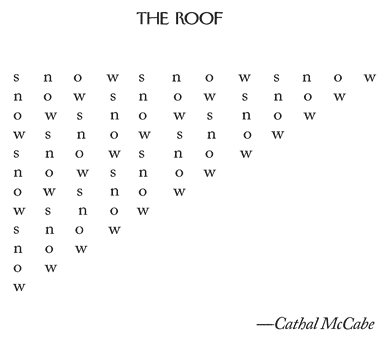 "The Roof" by Cathal McCabe in The New Yorker, November 19, 2012. 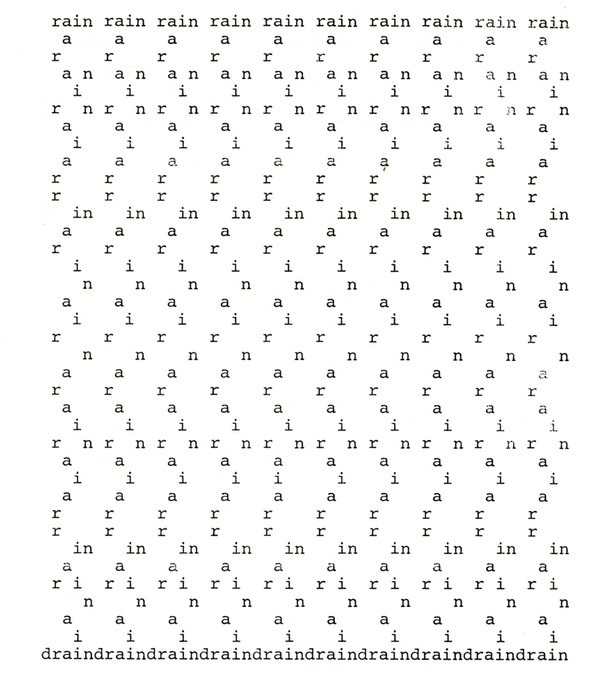 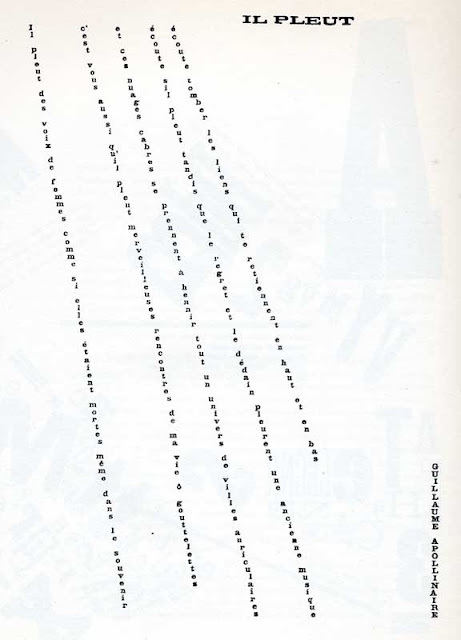 "Il Pleut" by Guillaime Apollinaire, from Apollo13Art. "hail, rain, snow" from swissserif.